Medicare Audits and Investigations Can Have Severe Consequences for Health Care Providers. If You Are Facing an Audit or Investigation, these Are the Key Terms You Need to Know. Health care providers that participate in Medicare are subject to constant scrutiny by the federal government. Billing mistakes can lead to costly penalties, while intentional billing fraud can lead to criminal prosecution. An audit is a review of a health care provider’s Medicare billings. Auditors will typically review up to three years’ worth of providers’ billing records. 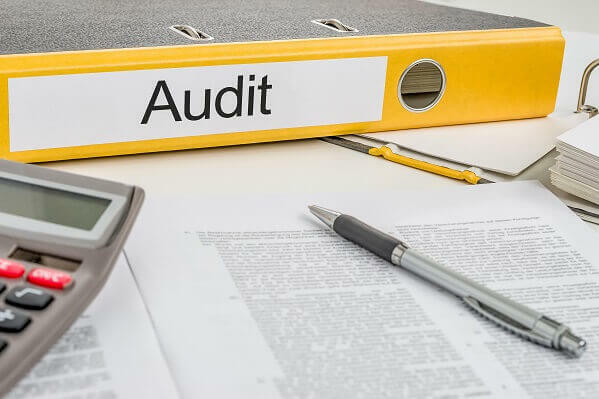 While the common usage of the term “audit” may make this seem like a fairly innocuous process, Medicare audit contractors have broad authority to demand recoupments and impose other penalties; they can also refer health care providers for federal prosecution. Medicare investigations have three potential outcomes: civil charges, criminal charges, or no charges. A civil charge carries the potential for monetary penalties but not prison time. Statutes that include provisions for civil charges include the Anti-Kickback Statute, the False Claims Act, and the Stark Law. A civil investigative demand (CID) is a tool that federal authorities use to gather information during Medicare fraud investigations. A CID is a form of administrative subpoena. This means that (i) compliance is mandatory (unless the provider who receives the CID has grounds to challenge its authority), and (ii) in contrast to other forms of subpoenas, federal agencies can issue CIDs without the need for judicial approval. A criminal charge carries the potential for monetary penalties and federal imprisonment. In Medicare fraud investigations, federal prosecutors can pursue criminal charges under a broad range of federal statutes. These include the Anti-Kickback Statute, Controlled Substances Act, False Claims Act, and the statutes that outlaw mail fraud, wire fraud, tax fraud, money laundering, and conspiracy. The Department of Justice (DOJ) is the nation’s chief law enforcement agency. It is heavily involved in the federal government’s fight against Medicare fraud, and its attorneys are responsible for prosecuting health care providers accused of civil and criminal offenses. The DOJ also establishes and participates in various task forces specifically focused on investigating and prosecuting Medicare fraud and abuse, including the Medicare Fraud Strike Force. Medicare audits are conducted pursuant to the Centers for Medicare and Medicaid Services’ (CMS) “fee-for-service” audit program. Under this program, CMS contracts with private auditing companies that work for the government on a contingency-fee basis. This means that auditors have a direct financial incentive to demand recoupments from health care providers. In the Medicare context, fraud refers to any improper attempt to obtain payment from the government. Fraud allegations can lead to civil or criminal charges, and many health care providers are surprised to learn the breath of the federal government’s definition of fraud. For example, while intentionally overbilling Medicare is one form of fraud, inadvertently submitting the wrong billing code or billing for an excluded service can result in fraud allegations as well. A grand jury is a federal proceeding during which prosecutors will attempt to convince at least 12 of the 16 members of the jury panel that the government has probable cause to pursue criminal charges. Unlike a petit jury in state criminal court (what most people think of when they hear the term “jury”), a grand jury does not determine guilt or innocence at the end of a trial. They are tasked with determining whether there are grounds for the government to pursue a trial at all. A grand jury subpoena is an investigative tool that prosecutors use to obtain evidence during grand jury proceedings. Prosecutors can obtain grand jury subpoenas for targets of criminal investigations as well as potential witnesses, and a grand jury subpoena can request documents, testimony, or both. If a grand jury determines that there is probable cause for federal prosecutors to pursue criminal charges, it will issue an indictment. An indictment effectively starts the criminal justice process, and health care providers that have been indicted must focus their defense strategies on having their charges dropped, seeking an acquittal, or negotiating a favorable plea deal. If your health care business or practice is under investigation for Medicare fraud, this means that federal agents and prosecutors are seeking evidence to support civil or criminal charges. Investigations can involve informal requests for information and interviews, warrants, subpoenas, and civil investigative demands. The Office of Inspector General (OIG) is the law enforcement division of the Department of Health and Human Services (DHHS). It employs investigators and prosecutors, and it works closely with the DOJ and other agencies to target health care providers in Medicare fraud investigations. Similar to a civil investigative demand, an OIG subpoena is a form of administrative subpoena that is used during the investigative process. The OIG has broad authority to use these subpoenas during Medicare fraud investigations. While there are limited grounds for challenging OIG subpoenas, health care providers who have been subpoenaed must generally be prepared to comply. Unbundling refers to a type of coding violation which involves billing related health care services at their individual rates rather than the reduced “bundled” rate prescribed under the Medicare billing guidelines. Upcoding is another type of coding violation which involves billing services, supplies, or equipment at a rate higher than the one prescribed. Upcoding allegations are common in Medicare fraud investigations. Even if they are committed unintentionally, upcoding violations can result in recoupments, fines, treble (triple) damages, and other penalties. At Oberheiden, P.C., our practice is devoted to representing health care providers in federal audits and investigations. If your business is being targeted by auditors or investigators, we strongly encourage you to contact us for a free initial case assessment. To speak with an experienced Medicare fraud defense attorney in confidence, please call (888) 356-4634 or request a case assessment online now.